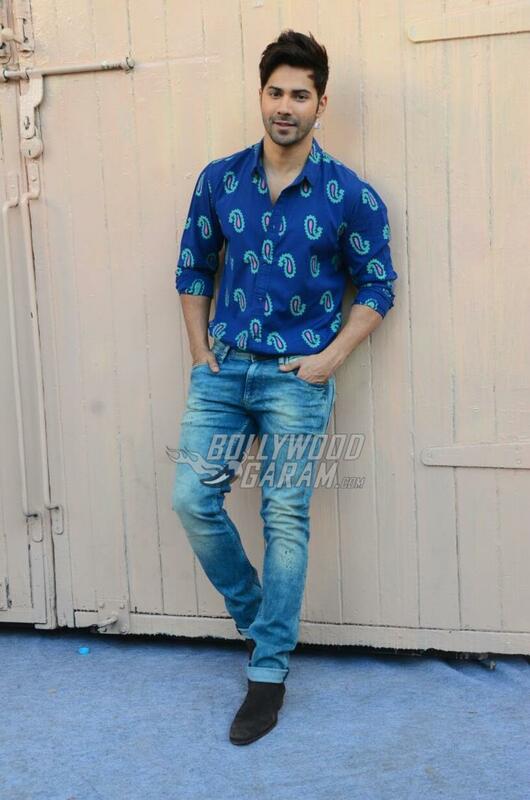 Actors Varun Dhawan and Alia Bhatt are all excited over the upcoming release of their movie ‘Badrinath Ki Dulhaniya’. The two were snapped at a studio in Mumbai and were happy to pose for the shutterbugs. 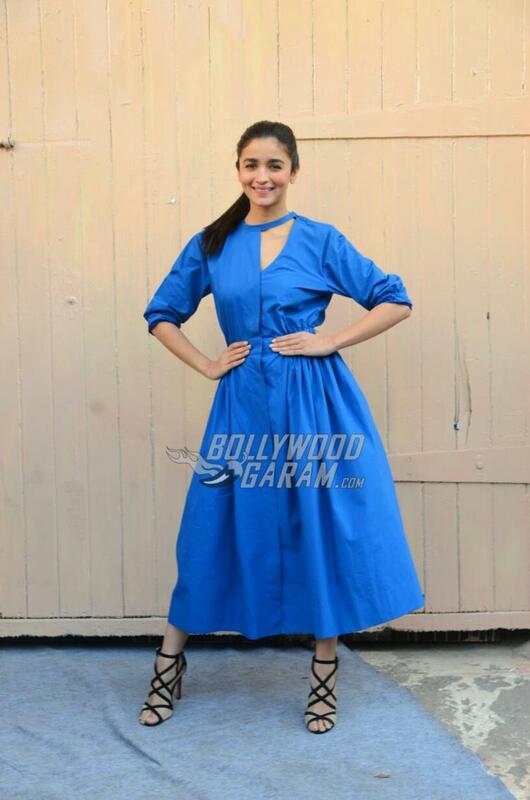 Alia and Varun appeared in blue outfits and looked absolutely adorable and shared a great chemistry. The two have become one of the hottest on-screen couples in the industry and are all over the country promoting the romantic comedy. The movie ‘Student of the Year’ had proved that the sizzling chemistry between the two is here to stay and will always work on-screen. Varun and Alia are fondly called as ‘Variya’ and are busy with the promotions of the movie ‘Badrinath…’. On the other hand Varun is also shooting for the movie ‘Judwaa 2’ which also stars Jacqueline Fernandez and Taapsee Pannu. ‘Judwaa 2’ is the sequel to the 1997 blockbuster movie ‘Judwaa’ which had Salman Khan, Karisma Kapoor and Rambha in lead roles. Even Alia has her hands full and will soon be seen in Zoya Akhtar’s upcoming movie ‘Gully Boy’ opposite Ranveer Singh. The story of the movie is about the life of rapper Naezy in the city of Mumbai. Ranveer will be seen playing the role of the rapper. The release date of the movie has not been finalized but is expected to be released by the end of 2017. Variya’s ‘Badrinath ki Dulhaniya’ is the sequel to the movie ‘Humpty Sharma Ki Dulhaniya’ which also had Alia and Varun in lead roles. The movie is directed by Shashank Khaitan and is all set to hit the theatres on March 11, 2017 during the Holi festival weekend. Next articleAkshay Kumar and Twinkle Khanna To Not Judge Nach Baliye 8!